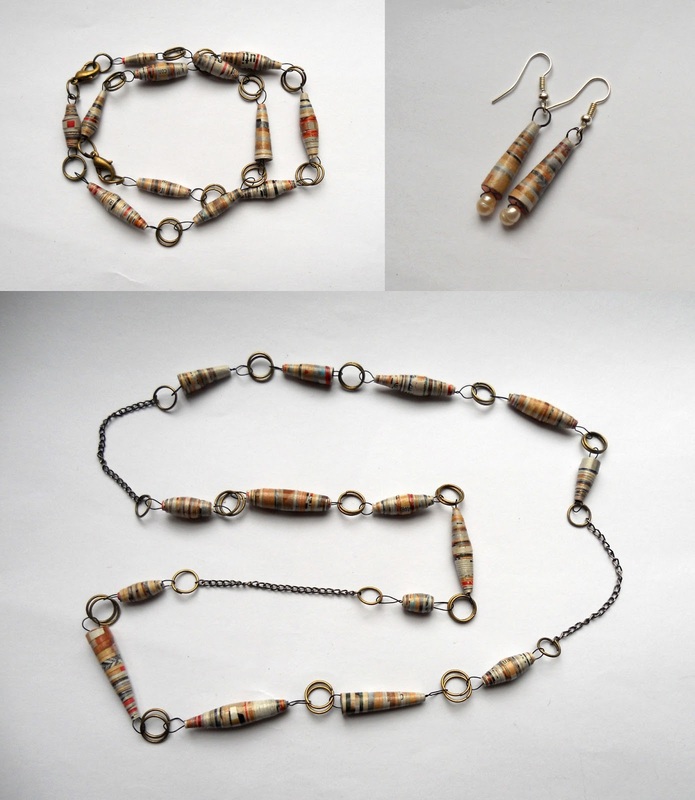 The necklace, the earrings and the two bracelets are made out of recycled paper from a Lidl advertisement. Necklace length 70cm. Each bracelet length 21cm. Earrings length 3cm.